Can China’s defense industry take the next step in supporting the country’s military modernization? Can it progress beyond a few well-known pockets of excellence in space and missiles to the point where the industry writ-large is capable of truly radical innovation? The CCP leadership clearly recognizes the importance of developing the nation’s defense science and technology industry, and defense industry reforms appear to be an integral part of the larger ongoing military reform process initiated at the 3rd Plenum of the 18th Party Congress in 2013. One need only look at recent Chinese writings on adjustment to weapons and equipment procurement and a growing focus on civil-military integration to see that the current leadership understands the importance of this issue to China’s future status as a military great power. 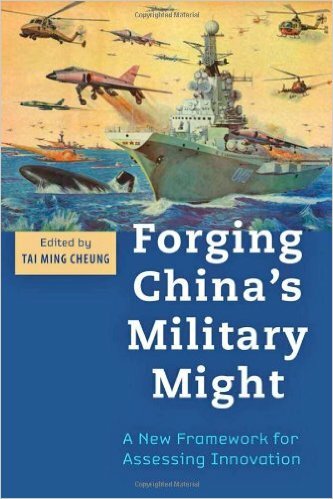 It is this context that we should view Tai Ming Cheung’s recently released edited volume, Forging China’s Military Might (2014, Johns Hopkins University Press). The results of a 2011 conference examining the Chinese defense economy held at Berkeley’s Institute on Global Conflict and Cooperation, the book tackles the question of how we should view China’s defense industry within a global comparative perspective. While the relatively long time from conference to publication is lamentable, the volume contains many essays which remain highly relevant and cover a range of topics, including analytical models designed to better understand important drivers of innovation, trends in the direction of China’s defense industry development, and detailed case studies examining important organizations within the Chinese military and defense establishment. The volume is anchored by the theoretical chapter authored by Tai Ming Cheung, Thomas G. Mahnken, and Andrew L. Ross. The chapter lays out a general model that allows for comparing innovation in national defense industries across countries. The details of the model are far too complex to do justice in the space here, but are certainly worthy of more in-depth examination. In sum, the model attempts to place national defense innovation on a spectrum ranging from simplistic and duplicative imitation, to disruptive and radical innovation. Where a country falls on this spectrum depends on a number of factors, including the state’s level of technological development, their security situation, and level of global integration. The authors find that most advances in the Chinese defense industry have been more incremental than disruptive to date, a finding likely true in most countries. While this is non-controversial, the chapter also notes that China’s innovative success has been more a function of technological advancements rather than doctrinal reform or organizational change, a point some may argue given the amount of ink spilled over the past twenty years examining PLA reforms in training, organization, and doctrine. Of the remaining chapters, two are likely of greatest interest to CIMSEC readers in that they deal directly with issues of concern to the PLA Navy. The first is an examination of China’s Military Representative Offices (MROs) by Susan M. Puska et. al. China’s MRO system is the PLA’s attempt to ensure quality at all stages of weapons and equipment production. Like previous studies of this system, the authors find it to be redundant, fragmented, and largely ineffectual. However, the chapter provides useful information on relatively recent (2010-2011) attempts to experiment with changes to the PLAN’s MRO system, with the goal of incorporating them into other MRO systems once they have been deemed successful. 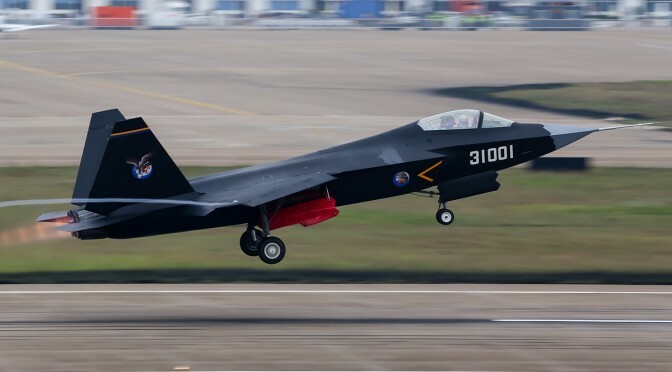 Like many experiments within the Chinese military and government, reforms to the MRO system appear to have gone nowhere. However, given that the PLA now appears to be undertaking some of the widest ranging and most serious reforms in decades, it will be extremely interesting to see whether they provide an impetus to finally bring the MRO system more in line with the PLA’s current needs and requirements. Added incentive to change how the PLA manages weapons development and procurement has also come from the ongoing anti-corruption campaign, which has already taken down a number of military officials – including those involved in weapons logistics and procurement. The second chapter likely to be of greatest interest to CIMSEC readers is the examination of China’s place in the global defense industry by Richard A. Bitzinger et. al. The authors compare and contrast the accomplishments of China’s defense industries in the field of shipbuilding, aviation, and space launch vehicles. The examination of China’s shipbuilding industry provides some useful detail regarding the sectors’ accomplishments and challenges. Despite the dramatic achievements made over the past two decades, the authors find the continued reliance on foreign technology to be problematic, especially should China need to ramp up production during conflict, when access to needed foreign material and components may be in short supply. The authors conclude that China’s naval shipbuilding has been “remarkable, yet short of impressive,” a more somber assessment which contrasts with some of the more optimistic predictions regarding China’s naval shipbuilding capacity over the near term. So what are we to expect from China’s defense industry in the near future? The assessment here is that results are likely to be mixed. Pockets of excellence in areas such as missiles, space and cyber are likely to expand and will continue to improve. Other areas such as aviation – particularly the aero-engine sector – will continue to face challenges. Key for China analysts and those who focus specifically on China’s defense industry will be to identify well in advance those early warning indicators that will allow us to determine the extent to which real change in the industry is occurring, and how to determine how much of an impact it is having on China’s ability to close the defense technology gap. This book helps to advance that conversation by providing a number of ways to look at China defense industry in comparative perspective, which will be of value to anyone seeking to answer these questions for some time to come. Jeffrey Becker is an analyst in the CNA China Studies Division. Dr. Becker’s published books and monographs include From Peasants to Protesters: Social Ties, Resources, and Migrant Labor Contention in Contemporary China (Lexington Books, 2014), and Behind the Periscope: Leadership in China’s Navy (CNA, 2013). His current research interests include Chinese maritime issues and Chinese foreign policy in the Asia-Pacific. Dr. Becker holds a Ph.D. in political science from the George Washington University, an M.A. in political science from Columbia University, and a B.A. in international relations and Asian studies from Colgate University. Readers interested in reviewing books for CIMSEC can contact the book review editor at books@cimsec.org.